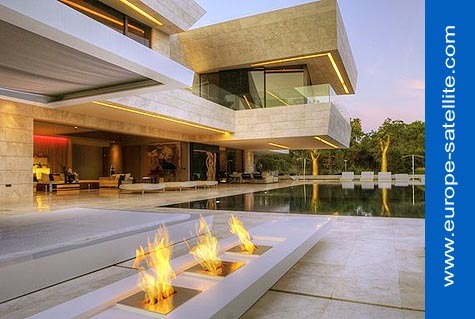 Avanti Hylas in Marbella, Spain. 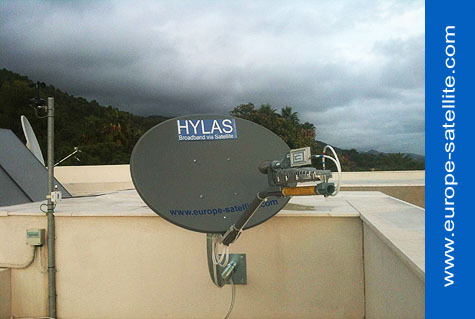 Satellite Internet forum › Avanti-Hylas Ka band services - EU, ME, Africa › Avanti Hylas in Marbella, Spain. 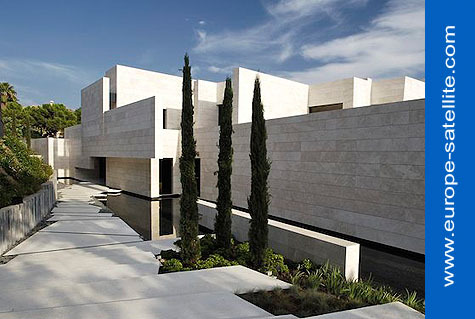 The house is a private home and the system is providing an internet connection for internal use and to control from remote, all the electrical systems in the house (e.g. lights, fridge, heating, sprinkler system, security cameras etc.). 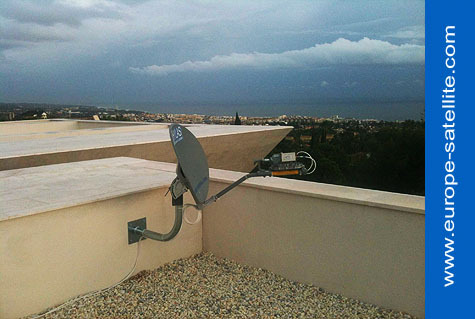 The system is running on an 'unlimited'** monthly service to make sure owners have a 24/7 access without any restrictions. *During the installation it was not really sunny. ** The quantity (MBytes or GBytes) of your traffic (uploads and downloads) is not artificially limited by a tariff based, pre-determined traffic allowance per unit time period. The ONLY limit is your bank account ! Unlimited packages are on top of a normal package and extra usage (only if used) are invoiced every following month. There is a deposit on unlimited service, this will be returned as soon the user changes his package back to normal service.